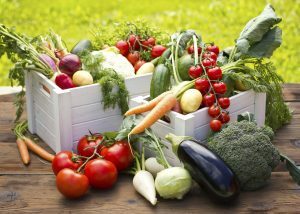 If you don’t have a garden, or want more variety a CSA (Community Supported Agriculture) Box is a great idea! There are usually different sizes of boxes and different schedueles so a good idea to look through and see what works for your family. Also if they do drop offs, or if there’s pickup locations in the city. Great idea to share with a friend too if you don’t think you’ll be able to eat it all. Some are boxes you can order, and others are farms that are set up at certain locations across the city. A great way to get a variety of fresh summer produce and support local farmers! Metaonoia Farmers offers 2 sizes and pick up is at 500 Shaftesbury Blvd. in Winnipeg. Almost Urban offers two sizes – one regular and one super sized. The larger one comes with a lot more than just veggies too. They have several pick up spots, check their website for all the info. Several forms of payment accepted too which is great! Hnatiuk Gardens offers full and half shares and they offer pickup or delivery. Food Ethos Farm offers a lot of choices – flexishare, garden and pasture share, freezer or pantry share – they also have several pickup spots inside the city and surrounding areas. Natural Collective offers 2 sizes – email them for delivery/pickup info. Jonathans Farm offers 2 sizes and has pickup in a few areas of the city. Boundary Creek Farm is sold out for 2016 already – but remember them for next year! Fort Whyte Farms offers several choices – some with lots of extra goodies. It’s pickup right on the farm, which could be fun too! Cramptons has 3 choices and you can either pick up at their store, or for a fee have it delivered. Ploughshares Community Farm offers 2 box choices, and 3 pickup locations – one is in Winnipeg. Fenez Follies has one size of box available – and pickups are in St. Norbert and Wolseley. ROC & The Fern does deliver to Winnipeg – email them for availability and sizing. If I’ve missed any, let me know and I can add them in! « Mother’s Day Brunches and more in Winnipeg! Does anyone have any experience with any of these services, and some recommendations? I had only previously heard of Harvest Moon.